Buchla inspired 292C Quad Lopass Gate DIY module. 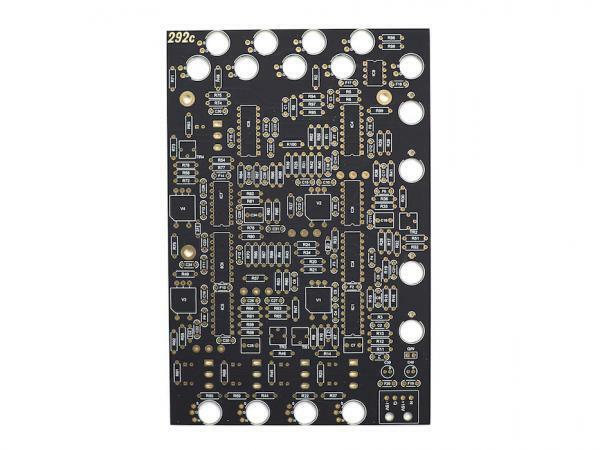 The PCB is matte black with golden solder pads. Every component is through-hole.